Patients working with me on intuitive eating inevitably hear me use the terms humming and beckoning in the context of eating dynamics. Based on the feedback I receive, being able to differentiate between humming and beckoning is one of the most helpful skills for an aspiring intuitive eater to develop. So, what do these two terms mean, and why are they helpful? Let’s discuss. Humming occurs when we are internally inspired to consume a food. Unprompted by anything external, we just feel that a particular food would hit the spot. Maybe you are sitting at your desk in the late afternoon, and as you begin to look ahead to dinner and consider what to purchase or make, you think to yourself, “Man, I could really go for [insert the object of your food craving].” Organically and unprompted, you just really want a particular food. Beckoning happens when we are externally inspired to consume a food. We are not thinking about a given food, but circumstances unfold that result in us wanting it. Maybe brownies are not on your mind at all, perhaps you are not even hungry, but you walk by the break room, spy that someone brought in a pile of the homemade goodies, and suddenly you think, “Oh, hey brownies!” and take a couple back to your desk to munch on while you work. Whether a food is humming or beckoning is not directly based upon a food’s nutrition profile, our ability to obtain the food, our beliefs about its appropriateness for the meal/snack at hand, our feelings about the food, or where it might fit on our good/bad food dichotomy (if applicable). Rather, humming and beckoning are directly based upon the source of our motivation – whether internal or external – for wanting a particular food. Indirectly, however, our relationships with food can certainly influence our humming/beckoning dynamic. Going back to the brownie scenario I previously mentioned, someone who restricts their intake of sweets will likely experience a stronger pull towards the brownies than somebody who has a healthier relationship with such treats and knows they are free to have brownies at any time. The brownies might still beckon to both people, but the intensity of the sparkle differs, as might their responses. Eating in response to humming has its upsides. From the standpoint of satisfaction, foods that we are humming for are more likely to hit the spot and leave us feeling content. In contrast, if we are humming for one food but eat something else for whatever reason, we might overconsume in an effort to make up for quality with quantity, or we might scrounge around going from food to food in search of satisfaction. Think of someone who really wants ice cream but gets frozen yogurt instead because they believe it to be healthier. They might overeat on the yogurt and perhaps eat another dessert or two afterwards, whereas if they had just had a little bit of ice cream in the first place, it would have hit the spot, and they could have gotten on with the rest of their day having found contentment in their eating experience. Sometimes we do not give enough credit to our bodies, which are pretty good at directing us towards what we need. Think of how water tastes so much better and is that much more satisfying to drink when we are thirsty versus when we are already well hydrated. Someone with anemia might not know that red meat is high in iron; they just know that they could really go for a steak, as their body increases its perceived appeal of high-iron foods. Personally, I discovered that salted crackers and pretzels were particularly satisfying during and after marathons long before I understood that my body was trying to replenish its sodium and carbohydrate stores. While eating in response to humming is typically a positive, beckoning is often viewed as a negative phenomenon, something to be resisted. However, I believe that beckoning gets a bad rap, and sometimes letting it guide our eating decisions is actually both sensible and helpful. Consider the following examples. Rarity: My first job as a dietitian was a research position that had me flying all over the eastern United States examining food and eating behaviors in elementary school cafeterias. Every night, I went out for dinner at local restaurants. In Philadelphia, I ordered a steak and cheese. A few weeks later in Tennessee, I made sure to get barbecue. My last trip took me to Tampa, where I ate plenty of seafood. These were not cases of humming just so happening to coincide with popular regional cuisines. Rather, these foods beckoned to me because these locales were known for them, and I wanted to take advantage of my rare opportunities to experience authentic fare. Deprivation: For someone still working to improve their relationship with food, especially if they have a history of dieting or other form of restriction, denying themselves a beckoning food can trigger feelings of deprivation that can have ramifications, such as subsequent overconsumption. Someone might decline the cake and ice cream at a birthday party and then rebel against their self-imposed restriction by consuming an entire pint of ice cream later in the day. In this example, the person would have been better served to remind themselves that they have unconditional permission to eat whatever and whenever they want and then celebrate with the other partygoers by having a little dessert. Uncertainty: Sometimes our humming signals are just not that strong. We know we are hungry, but identifying the best fit proves a challenge. We might ask ourselves matching questions regarding what taste, color, temperature, or flavor food we feel like consuming, yet come up with limited criteria that still leave us feeling directionless and frustrated. In such cases, beckoning can be our friend by helping us to resolve the uncertainty and make a decision. For example, you might be gazing at a restaurant menu in frustration, unsure which entree to order, but then you glance at another patron’s meal, think to yourself, “That looks good,” and suddenly you have your answer. Other times, not responding to beckoning might be the best move. The person who walks by the break room and spies the brownies might decide, “You know what, those brownies do look good, but I was not really feeling like having brownies; I am only interested in them because I saw them, and they are probably not going to hit the spot as they would if I were humming for them. Besides, I have unconditional permission, so I can make or buy brownies anytime I want. So, I am going to pass on them for today.” Five minutes later, they could be back at their desk and engrossed in their work, having totally forgotten about the brownies. In my view, eating because of either humming or beckoning are both morally neutral actions, and there are no absolute right or wrong responses. However, understanding the dynamics behind our draw to a food can help us engage in whatever eating behavior we feel like is in our best interest at the given time. In other words, good/bad food dichotomies offer comfort even if they are based more on theology than science, but why are carbohydrates often demonized? After all, given that the dietary reference intakes call for 45% to 65% of our total energy intake to come from carbohydrates, these macronutrients cannot really be that evil, can they? First, remember the crosshairs of nutrition scapegoating are fickle and used to point elsewhere, such as fat in the 1980s and gluten more recently. These days, the most common reason I hear why people look down on carbohydrates as opposed to other foods is the perceived association between carbohydrate intake and weight change. Someone cuts his carbs, sees himself quickly drop weight, and therefore believes that carbohydrate elimination or reduction is the key to weight loss. Similarly, the weight regain that occurs with reintroduction of carbohydrates reinforces the notion that carbs are problematic. Such conclusions, which are understandable if based solely on observation and experience, do not take into account the physiology of what actually happens within the body. We store carbohydrates in the form of glycogen in our liver and muscles so we have fuel for various processes, including physical activity. On a chemical level, water is bound up with the glycogen. Therefore, when someone reduces his carbohydrate intake and quickly drops weight, what he is really losing is water weight, not fat mass, as his glycogen stores decrease. Similarly, when he reintroduces carbohydrates, he rebuilds his glycogen stores and the water that gets packaged with it, and he consequently regains weight. Furthermore, carbohydrate reduction can trigger a downward spiral. Because our bodies are adept at telling us when we are in need of a nutrient (For example, putting aside extraneous circumstances, we feel thirsty when we are dehydrated, and the action of drinking becomes less pleasurable as we rehydrate. ), when we cut our carbs, we in turn feel an increased drive to consume them. If and when we finally eat them again, we are likely to overconsume, partly due to the body making up for the deficit and partly as a natural reaction to restriction. This overconsumption, especially if weight regain accompanies it, reinforces the preconceived notion that carbohydrates are problematic. Sometimes people even go so far as to believe they have an “addiction” to carbohydrates or specifically sugar. Thus, they cut carbs again and the cycle continues. This is a form of paradigm blindness in that some people do not realize that their presumed solution actually exacerbates the problem, so they keep adding more of the supposed solution to the ever-worsening issue. Even if someone does manage to sustain long-term carbohydrate reduction, such behavior comes with risks. For example, fiber, which is important for cardiovascular health, energy stability, and bowel function regularity, naturally occurs in high-carbohydrate foods, such as legumes, vegetables, and whole grains. Therefore, reducing or eliminating these foods makes achieving adequate fiber intake a challenge. Carbohydrates are the brain’s primary source of energy, so not taking in enough of them risks concentration lapses, mental fogginess, and malaise. During physical activity, our bodies rely on carbohydrates as the primary fuel source. As an endurance athlete, I have experienced the fallout from inadequate carbohydrate intake firsthand. Only twice in my life have I failed to complete a long-distance bicycle ride that I began: the first was when I fell off my bike and fractured my spine, and the other was a few years later while I was experimenting with a low-carb diet. During the latter ride, I became so fatigued and dizzy that I could not continue and had to have someone drive me home. If carbohydrate reduction is not the key to good nutrition, what is? Well, the answer is complicated and not easily distilled into a soundbite. Health is both complex and multifaceted, and no two individuals are likely to define it in exactly the same way. Therefore, how we approach it from the perspective of nutrition has to be individualized as well. Speaking generally though, we suggest doing away with good/bad food dichotomies, which are more harmful than helpful, and instead placing all foods on a level playing field of morality. Rather than letting issues of guilt and virtue steer your eating, let your body’s internal cues be your compass. When you do that, you just may find that your carbohydrate intake falls within the aforementioned dietary reference intake range. Lord have mercy. Self control, unhealthy, lower-calorie . . . Based on the language Dr. VanEpps uses and the undercurrent of a good/bad food dichotomy, time-delayed eating sounds like yet another dieting tool right up there with drinking a glass of water before sitting down to a meal, consuming caffeine to stave off hunger, or not eating after a certain time of evening. We all know by now that dieting rarely works, right? Regarding the research at hand, two of the pieces discussed in the New York Times article are hidden behind pay walls except for their abstracts. While I can only comment on what I am able to read, the information available to me leads to many important follow-up questions. What happens when the time comes to eat and the food you ordered long ago does not meet your intuitive needs in the moment? Will you eat it anyway? If not, what is plan B? If you do eat it, might you consume more of it than you really need in an attempt to satisfy yourself through sheer quantity? Will you overeat by beginning your feeding with your pre-ordered food only to follow it up by eating something else that you actually want? Consider a personal example. A little over a decade ago, I went through a phase where I was modifying cookie recipes in all sorts of ways in an effort to make them “healthier”: nuts and dried fruit instead of chocolate chips, oil instead of butter, whole wheat instead of white flour, reduced sugar, etc. These changes sounded good in theory, but who was I kidding; these “cookies” were only cookies by name and bore a stronger resemblance to pancakes. They never quite hit the spot. When you want cookies, no amount of pancakes will satisfy. Either I ate the healthier cookies by the batch in an effort to quell my cookie craving, or I chased them with traditional baked goods anyway. Now that I make normal cookies full of butter, sugar, white flour, and chocolate chips, I only need to eat one or two in order to feel satisfied. Consider the short-term and long-term ramifications of time-delayed eating. If you just consumed a meal you did not really want but ate anyway, what happens at the next meal, or later that evening? How do you eat the next day? The next week? The next six months? The restriction/binge cycle of dieting suggests that sooner or later there will be consequences somewhere down the road. One of my patients is coming off a serious health scare and has completely revamped his way of eating over the last year. On the weekends, his family maps out exactly what they will eat each day of the upcoming week and then they shop only for the ingredients necessary to implement their plan. When Thursday evening rolls around and the dinner entree he scheduled five days earlier no longer sounds appealing, he eats it anyway. He may not love it, but he can tolerate it. Right now, he does not mind taking a utilitarian approach to his eating. So far, it seems to be working for him, and who knows, maybe it always will, but as his dietitian I have to think ahead to what might happen in the coming months and years as the fear associated with his medical incident subsides and leaves him with a different picture of motivation than the one he holds today. In other words, how long can one tolerate eating foods that may seem healthy on paper, but on the enjoyment scale are only meh? Similarly, I encourage you to consider the aftermath you are likely to have on your hands if you try time-delayed eating and find yourself trying to reconcile the food you pre-selected for yourself and what you actually want to eat in the moment. If the research teaches us anything, it’s that such discrepancies are a virtual certainty to occur. 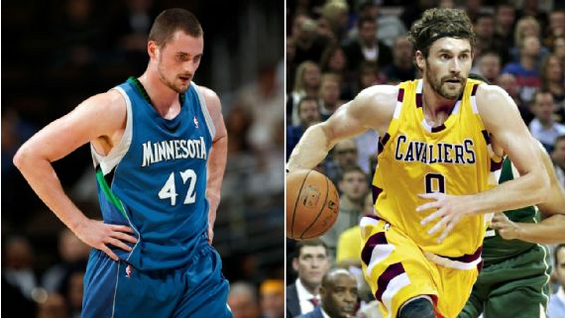 If ESPN is going to advertise their story with a provocative before-and-after pictorial of Kevin Love’s body transformation, then let me begin my response by pointing out that the chiseled-armed latter version of Love is arguably a worse player than his earlier, pudgier self. Sure, now that Love is LeBron’s sidekick in Cleveland rather than the focal point of offense in Minnesota, one might expect some of his numbers to be down. However, his points per game, rebounds per game, and assists per game have all worsened despite nearly identical minutes per game and playing in the midst of what should be his peak basketball years. That’s tough to do. Given that, someone will have to explain to me why we are focusing on his physique instead of his noteworthy and curious decline. That someone, however, might not be Jackie MacMullan. Normally a fantastic sports journalist, one of the best in her field, she took a shot at an important subject with her ESPN article entitled, “From Kevin Love to Draymond Green, NBA players struggle with food more than you think,” but uncharacteristically threw up a brick. The aforementioned content and the article’s title set up perfectly to discuss disordered eating, which is sorely in need of more attention and dialogue. “NBA players, in truth, are just like us,” the author writes, before listing various eating behaviors common to both professional athletes and laymen. A glaring omission from her list is that professionals are susceptible to dysfunctional relationships with food, eating disorders, and nutrition myths just like the rest of us. Sometimes abnormal behaviors are so prevalent that we mistake them as normal, and I think the author may have fallen into that trap. More troubling is that instead of discussing Love’s eating habits as a red flag of concern, the author presents them in the context of his lower weight and improved endurance. Consider the impact this kind of message has on readers. For you parents out there, do not be surprised in the least when you walk into the kitchen and find your teenager counting out his or her almonds. Furthermore, while Love is no doubt eating in a way that he believes serves him best on the court, we must remember that professional athletes often focus on the here and now while long-term risks take a back seat. The stakes are simply different for them. Professionals put their long-term health on the line for short-term rewards that are unavailable to the rest of us. Love just rushed back on the court from a concussion so he could continue playing in the NBA finals. If you suffered a similar concussion, would you risk permanent brain damage in order to play out the remainder of your YMCA rec league’s spring season? Similarly, readers must understand that following an eating plan as rigid as Love’s is risky and makes little sense for the general population. Look, I have never met Oliver Miller or viewed his medical records, but whatever was going on with him during his playing days, I promise you that the root cause was not pizza. By talking about pizza, or any other specific food, in this way, the author further propagates the myth of food addiction. When we abandon the diet mentality, uncouple moralization from eating behaviors, break up the good/bad food dichotomy, build intuitive-eating skills, and make trigger foods available in abundance, “food addiction” typically resolves, which is the exact opposite outcome that an addiction model would predict in response to such treatment. Even if Miller was suffering from binge eating disorder, which, as with other eating disorders, is a mental illness that gets played out through food, pizza is still not responsible for his struggles. More importantly, neither you nor I know whether or not he had such a disorder. Hopefully, one of our takeaways from our shameful treatment of Pablo Sandoval over the winter is the lesson that we cannot determine someone’s relationship with food or the presence of an eating disorder based on his or her body size or weight. The notion that we can is yet another myth. “But it’s not as easy as simply losing weight. Becoming lighter, in many cases, often doesn’t translate into peak performance,” the author later writes. While I completely agree, the article’s subsequent content seems tenuously related at best. She discusses Roy Hibbert, who lost weight upon request by one coach and then put it back on when the Pacers hired a new coach who asked him to regain it, but that was apparently related to differing philosophies in team play between the two coaches, not a change in Hibbert’s performance. A more direct and relevant example would have been to discuss Love’s aforementioned regression despite his body transformation. The article’s most important passage reads, “Dallas Mavericks coach Rick Carlisle says the one thing he has learned in his 27 years in the league is not to judge a player by his body type. Mavericks guard Raymond Felton, for instance, is more diligent about his diet than Russell Westbrook, yet you’d never know it by a simple eye test.” So true, but these 54 words are drowned out in a 2,910-word article largely about dieting and weight. Besides, in an age in which attention spans seem to rarely exceed 140 characters, how many readers even make it far enough in the article to reach this important paragraph? While I commend the author for taking on this topic, her article could have been so much more than it is. She could have brought to light the societal prevalence of disordered eating, eating disorders, and nutrition misinformation so widespread that they infiltrate professional locker rooms. She could have explored how the eating habits of star athletes impact the general population, especially minors. She could have addressed the dangers and damage stemming from coupling weight with performance. Instead, she did none of those. Ms. MacMullan, an important story is begging to be written here, and I believe you can still author it. Please consider grabbing your own rebound and putting up another shot. We believe that people should have the freedom to choose whichever healthcare paths they wish to take, independent of whether or not we would recommend their selected treatment plans. Disclosure and transparency are corollaries necessary for building a foundation that supports patients as they make decisions regarding their own care. Today’s approaches are likely inferior to healthcare’s future toolbox, and part of what separates respectful collaboration from a sales pitch is candidly discussing both the pros and cons of available options so patients can make informed decisions. We are not afraid to admit “I don’t know” when that is indeed the most appropriate response. None of this makes us exceptional or great, but it does make us honest. For a look at the flip side, consider Weight Watchers®. A magician once explained to me his secret: misdirection. He gets you to fixate on his right hand so you entirely lose track of what his left hand is doing. Weight Watchers uses ads emblazoned with their “Because It Works” slogan to capitalize – literally and figuratively – on your desire to lose weight while they hope you forget to ask for their definition of “works.” The large font in their television ads demands so much of your attention that you miss the fine print resulting from the Federal Trade Commission’s (FTC) action against Weight Watchers in 1997 that declared they must concede that “For many dieters, weight loss is temporary.” In reference to the commonplace weight regain that prompts clients to re-enroll in the program time and time again, Richard Samber, Weight Watchers’ former financial director, explained, “That’s where your business comes from.” Weight Watchers is profitable, in other words, because it can successfully create short-term weight loss and make you believe that their long-term failures are actually your own. Weight Watchers distracts you with their glittery new SmartPointsTM system and hopes you will ignore the long list of previous systems, including the Weight Watchers Program Handbook for Ladies, the Quick SuccessTM Program, the original PointsTM program, and PointsPlusTM, that never worked nearly as well as they wanted you to believe at the time. Weight Watchers is not changing their program because “Now we’re enhancing our program based on the latest science,” as their Chief Scientific Officer, Gary Foster, wants you to believe; nor are they changing their program because they suddenly uncovered data showing its poor efficacy. This is not a case of “When we know better, we do better.” They knew for decades that their program was not working as well as their large print made you believe, but they continued to promote it anyway, and when forced by law to tell the truth, they wrote it so small that you probably missed it. Despite their spin that Weight Watchers always worked and now they are just making it even better, Weight Watchers is changing for one reason: money. Over the last four years, the company has seen their stock plummet from $85.00 to $6.80 per share as customers and potential customers have turned instead to weight-loss apps or more holistic approaches. To combat the former, they are launching a new mobile app and an expanded coaching program that offers more extensive support outside of group meetings. Their response to the latter involves some sleight-of-hand trickery. “Beyond the Scale” appears to be the new slogan, replacing “Because It Works,” and their company logo has been tightened up to two letters, thus removing the word “weight.” Seeing as they are so poor at creating long-term weight loss, taking the focus off the scale would make sense, but it is just a surface-level marketing ploy. Taking a closer look reveals that weight is still the focal point of their approach. A Weight Watchers spokeswoman recently told Good Morning America, “People would really spend a lot of time trying to figure out ‘How do I get my Doritos in? Oh, I can do it if I adjust this and adjust that.’ Now it’s not as important for them to make sure how they are getting their Doritos in. It’s much more important for them to say, ‘What am I putting in my body? How’s that going to make me feel? '” Sounds very similar to intuitive eating, or at least a perversion of it warped just enough so at first glance it appears to fit seamlessly with their weight-centered approach. The problem is that intuitive eating and dieting mix as well as oil and water. In fact, the very first principle of intuitive eating, as stated by Evelyn Tribole and Elyse Resch, is “Reject the Diet Mentality.” Sure, some people pursue intuitive eating hoping to lose weight, but intuitive eating is not designed to be a weight-loss tool, and if someone is unable to at least put weight on the back burner, then he or she will never truly learn to eat intuitively. In other words, having one foot in intuitive eating and the other in weight-loss culture will likely get you nowhere. Really think about the company name: Weight Watchers. Weight. Watchers. People who watch weight. How is someone possibly supposed to jump with both feet into intuitive eating in the context of weigh-ins and an emphasis on mass? It is fine and dandy for Foster to say, “[Weight] is an important metric, but not the only metric,” but when the scale continues to be the focal point and the most important measure of progress in the eyes of everybody involved, consider the bind clients will find themselves in if and when becoming more proficient with intuitive eating is at odds with the scale. With the attention still on weight, how long will it be before the newly developed intuitive-eating skills are abandoned in favor of old-fashioned restriction? Weight Watchers launched a pilot study of their revamped program in New Jersey, and 38 of the 40 participants lost weight, including three women whose testimonies of having lost between 18 and 50 pounds were featured in the Good Morning America segment. “We still produce weight loss,” Foster said on the show. Pretty much any kind of restriction will lead to short-term weight loss, so it always blows my mind when companies act like their program is unique in this way. Remember, nobody knows how to produce long-term weight loss in more than a tiny fraction of people who attempt to achieve it. The right hand can attempt to distract you with all sorts of glowing testimonials and a small, short-term pilot study, but none of that suggests that this version of their program will work any better than its predecessors, and you know the left hand is still holding the FTC-mandated disclaimer due to the futility of the program. Weight Watchers certainly has success stories, and they make sure you never forget it. Group meeting leaders are all former clients who have lost weight and kept it off (at least so far) through a combination of behavior change and a boatload of factors out of their control that happened to work in their favor. Their mere presence is a subtle sales pitch that conveys enticing testimonies of hope and success, making you believe that the next winner could be you if only you continue to partake. Weight Watchers emphasizes seduction over expertise and downplays that leaders do not necessarily have backgrounds in nutrition, exercise science, or anything remotely connected to health, but rather disciplines such as drama that lend themselves to charismatic performance. Why hire someone with solid and extensive qualifications in economics and finances to manage your money when you can instead attempt to follow in the footsteps of some dude who struck it rich on a convenience store scratch ticket? The other issue with their use of leaders and celebrity spokespeople to pitch their product is that neither you nor I know for sure what they do or do not do behind closed doors in order to achieve and maintain weight loss. Both parties have incentive to keep their weight in check regardless of the costs. Leaders can lose their jobs if they regain weight, and my understanding is that celebrity endorsement contracts are contingent on continued weight maintenance. Behaviors kept private can range from the privileged (personal chefs, personal trainers, etc. ), to the deceitful (employing other weight-loss techniques beyond the Weight Watchers program being credited), to the disordered (ever-increasing restriction and/or exercise, preoccupation with food and physical activity, social withdrawal), to the outright dangerous (very-low-calorie diets, unregulated supplements, eating disorders). Clinically, we have seen many patients whose eating disorders were triggered by competition in a weight-based sport such as crew or wrestling, participation in an appearance-based activity such as gymnastics or figure skating, or employment in a size-based field such as modeling or personal training. While I do not believe we have ever had a Weight Watchers leader or celebrity spokesperson as a patient, it stands to reason that they are similarly vulnerable to the emphasis placed on their weight and the pressure to maintain it. For 52 years, Weight Watchers has deceived you by knowingly overstating the efficacy of their programs and blaming you for their own failures, all at the expense of your time, money, and health. Do you really want to bet your resources and well-being that the outcome will be any different this time around? You deserve more than smoke and mirrors, don’t you? While this might be news to some of you, it’s been nearly two months since Oprah Winfrey announced that she has not only become a member of Weight Watchers (WW), but she has also bought 10% of the company and become a board member and adviser. According to O, she decided to join and later invest in Weight Watchers as she has “always struggled with weight” and was impressed by the company’s “holistic approach” to health and weight loss. On Ellen DeGeneres’s talk show (which aired on October 23rd), Oprah reported that she had already lost 15 pounds since August 12th and was truly enjoying the program. Oy. Where do I start with how sad this whole situation is? I have always been a fan of Oprah, as I have seen her as a strong advocate for women, someone who has been through a lot in her life and who wants to help young girls and women become their true and best selves. While the media often focused (and still focuses) on her weight gains and losses, I was always impressed by her ability to bring people together, inspire, and educate. Oprah is so much more than her weight! I remember in 2010, I was so excited to see that Oprah was having Geneen Roth on as a guest of her show to discuss Roth’s best-selling book “Women Food and God: An Unexpected Path to Almost Everything.” Roth’s philosophy is that the way one eats is directly related to one’s core beliefs about being alive. She is an anti-diet proponent who posits that by exploring one’s spirit and soul, one can break free from emotional eating, finding balance with one’s relationship with food and one’s body. On the show, Oprah was giving such high praise to Roth and her book, saying how she was inspired to “never diet again” and that this book was a life-changing read for her. So that brings me to the present day. Really, Oprah? What happened? Because last time I checked, WW is a diet, a set of externally based rules that tells its members what and how much to eat in order to lose weight to become socially acceptable – pretty much the opposite of Roth’s message. As we have written about too many times to count, 95% of people who alter their diet in order to lose weight will regain the weight and usually end up heavier. Weight Watchers is no different – it is a diet! Whenever anyone tries to tell me that it is a “lifestyle,” not a diet, I really have to contain my eye-rolling reflexes. Want to figure out if you are on a diet? Here’s how: Are you purposefully manipulating your food intake based on a set of external (i.e., not internally based) eating rules? Is your main goal of said food manipulation to watch the number on the scale go down? Well, I hate to break it to you, but you are on a diet, my friend. And chances are, even if you do end up losing weight, you will regain that weight and then some. In a purely monetary sense, Oprah’s investment in Weight Watchers is brilliant – contrary to its popular “It Works!” slogan, It Doesn’t! The company has admitted that the success rate of its members is embarrassingly low, and much of their research is based on data that was collected over the span of a year. Um, nice try! We all know that weight regain often occurs between 1 and 5 years post-diet. But of course Weight Watchers doesn’t have data that goes that far. What a surprise. The company’s business plan is so clever because it knows that the diet doesn’t work. 95% of their members will regain the weight (blaming themselves instead of the diet, of course) and will rejoin, creating an unending cycle of profit for Weight Watchers. Listen, I don’t really blame Oprah for making this truly unfortunate decision – she is human, and she is not immune from the body-shaming, weight-loss messages women receive on a daily basis. But I am disappointed that she is choosing to participate in and endorse a company whose sole purpose is to tell women that they are not enough, that their worth should be measured by a piece of metal, and that weight loss is the only way to find one’s true and best self. Oprah, I really expected more from you.